To most, a sense of community means having a place to belong, having access to community leaders, and developing friendships with neighbors and community members. Life in Wyoming takes the typical sense of community to a heightened level…life in our community is an opportunity to establish deep and genuine relationships with friends and neighbors beyond the passing “hello.” Folks who move to Wyoming are quick to realize that this structure of community creates opportunities to run into neighbors and friends at a variety of events and venues; it is an opportunity to meet others because children are the same age in school; it is where the community comes together for celebrations, concerts, festivals, and holidays; it is where volunteers serve on a board or commission or coach the pee wee soccer team. 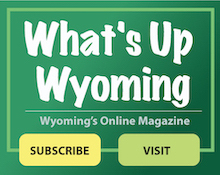 Life in Wyoming means feeling connected to each other and having the chance to extend family into the community – Living in Wyoming is a unique and special way of life. For City Council and our employees, our sense of community is providing the strong services and solid quality of life that make Wyoming a positive and enriching experience. From safety services, to public works, to water quality, to community development, to varied recreational opportunities, the City of Wyoming is dedicated to protecting and fostering the sense of community that we all value so deeply.